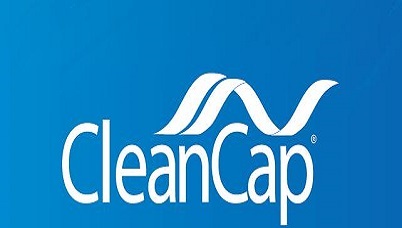 Illumina recommends using UDIs as a method to mitigate errors introduced by index-hopping. Suitable for both paired-end and single-end sequencing. Each UDI Adapter carries a unique 8-base barcode, 384 barcodes available. IDT xGen UDI Duplexes: Available as individual Adapters, delivered as a 15 uM solution (2nmole), sufficient for ~25 reactions. PerkinElmer NEXTflex UDI Kit: The kit includes 96 barcodes plus Primer Mix, supplied in 96-well plates, each well sufficient for 2 reactions, enabling 192 total reactions. Supplied in a 96-well plates, each well sufficient for 8 reactions, enabling 768 total reactions. Each indexed adapter carries an 8-base barcode on each end to enable unique identification. IDT TS-LT Single Index Adapter Kit A: Includes TS Amplification Primer Mix, plus the 12 indexed Adapters of Illumina Kit A.
IDT TS-LT Single Index Adapter Kit B: Includes TS Amplification Primer Mix, plus the 12 indexed Adapters of Illumina Kit B.
PerkinElmer NEXTflex-HT Barcode Kit: The kit includes 96 unique single-index barcodes plus Primer Mix, supplied in a 96-well plates, each well sufficient for 2 reactions. 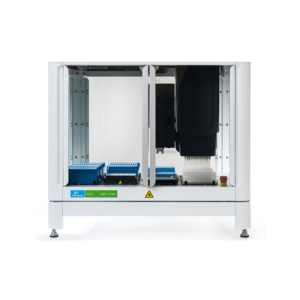 Enables multiplexing up to 384 samples per flow cell lane. 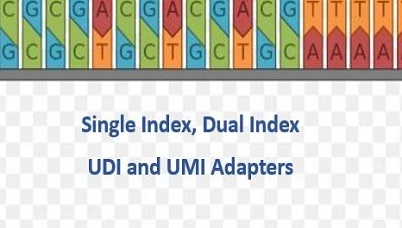 UMI Adapters are identical to the UDI Adapters but carry a short sequence of random bases, that incorporate a unique barcode onto each molecule within a given sample library. UMIs increase sensitivity of variant detection and are meant to reduce the rate of false-positive variant calls during SNP detection. UMI adapters are available at the same price as UDI adapters!